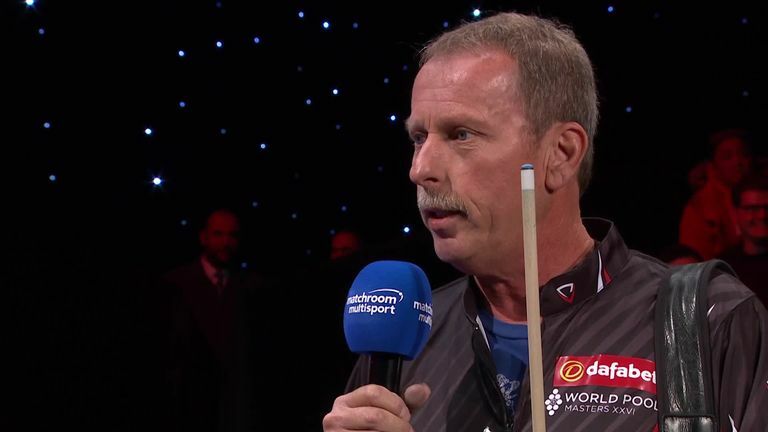 Earl Strickland was left fuming at the crowd, venue and the future of the sport after losing 7-2 to Eklent Kaci in the preliminary round of the World Pool Masters in Gibraltar. American Strickland, a familiar face at the Mosconi Cup and winner of numerous nine-ball pool events around the world, took exception to fans he claimed had "singled him out" and were opening beers while he tried to play his shot. The 57-year-old, who has built a reputation for being a tough customer during his long career in the sport, also claimed it was too cold for him in the Victoria Stadium, before hinting he will not be back to play next year. 🎱 The last 16 round starts today, with Niels Feijen kicking things off as he tries to defend his #WorldPoolMasters title against 2017 champion David Alcaide. Some cracking matches in store today, what's your pick of the day? All of which made for a difficult interview for Sky Sports' Tom White, who nonetheless managed to remain calm under pressure. Coverage of the World Pool Masters continues over the weekend on Sky Sports.